Who doesn't love to snuggle with a warm, comfy blanket? I remember when my kids were little that I had the hardest time finding a blanket that was soft, kept them warm and they liked while we ran errands in their stroller. I wish that I had was a Nuddle Blanket. 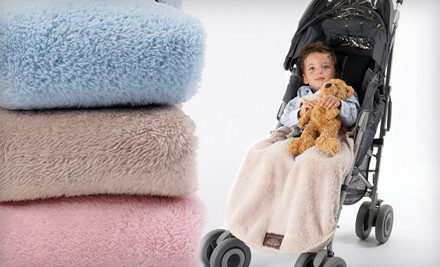 Nuddle Blanket is a blanket especially designed for strollers. It has openings designed for the straps of a five-point harness, so you won't get any slippage of baby or blanket.